NTS has focused on teaching and learning as a means of raising standards for more than two decades. As a result, good is the minimum expected standard and there is much outstanding practice in evidence. Staff are eager to improve from “good” to “outstanding” or from “outstanding” to “even more outstanding”! It is not surprising therefore that effecting these improvements can only be about fine tuning. The creation of the Professional Development Department was an attempt to tackle the issue in a different but systematic way. 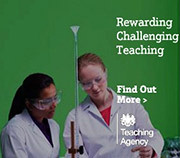 Staff in the department all have specific responsibilities, (NQTs, trainee teachers, departmental, individual staff support, coaching training) but the heart of their task is to ensure that the quality of teaching and learning gets ever better. By implication this requires all staff to be actively involved in their professional development.